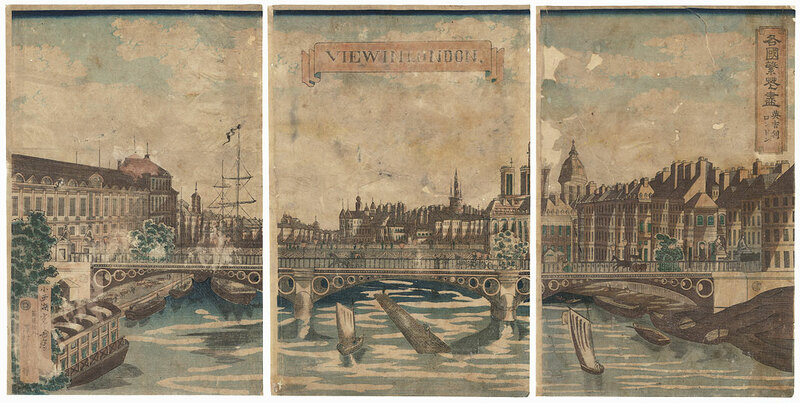 View in London: Prosperity of Countries: London, England, 1872 - Fascinating depiction of London, England, with horse-drawn carriages and pedestrians crossing a bridge over the Thames River., Tall buildings line the river's edge, extending as far as the eye can see beneath clouds drifting across a sky shaded from blue to yellow to red. Boats move up and down the water, with tall masts visible beyond the bridge at left. 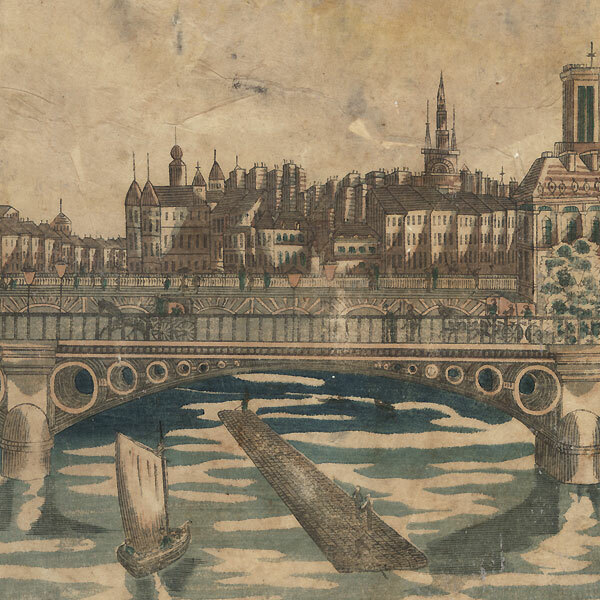 The image appears to be based on a Western engraving, as the shadows of the bridge and boats are shaded with narrow lines, and the skyline seems more accurate than fanciful, as in some Yokohama prints. A terrific illustration with wonderful detail, also in the collection of the Metropolitan Museum of Art in New York. A rarely seen Yokohama-e design. 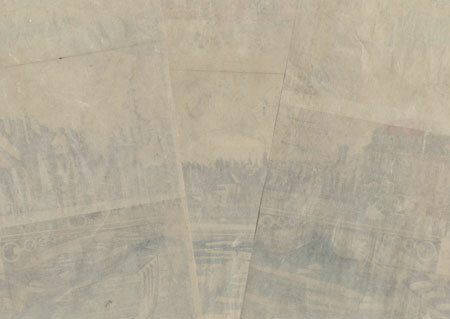 Condition - This print with excellent detail as shown. Three separate panels, backed with paper. Losses, tears, holes, and thinning, repaired. Toning, soiling, creasing, stains, slight rubbing, slight paper remnants. Please see photos for details. Good overall.